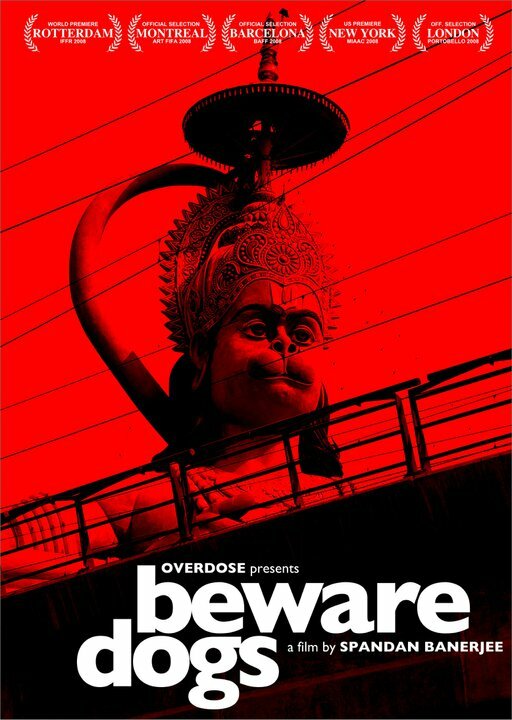 For the first time, FilmKaravan present two documentary films on Video on Demand that show two very different culturally advanced and creatively gifted groups of people in India. Malegaon, a small town tucked away near the heart of India geographically, is wrought with communal tension and economic depression. To escape the harsh reality of their world, its people seek refuge in the fantastical world of cinema. This passion for cinema has spurred a group of cinema enthusiasts to make their own films–quirky, low budget, socially aware and notoriously funny spoofs of Bollywood films. Now, we follow them on their latest venture as they take on for the first time a Hollywood classic: Superman. As the film begins to take shape through schemes and approaches that are sublimely ingenious, simply bizarre, and purely hysterical, we also slowly discover Malegaon itself. 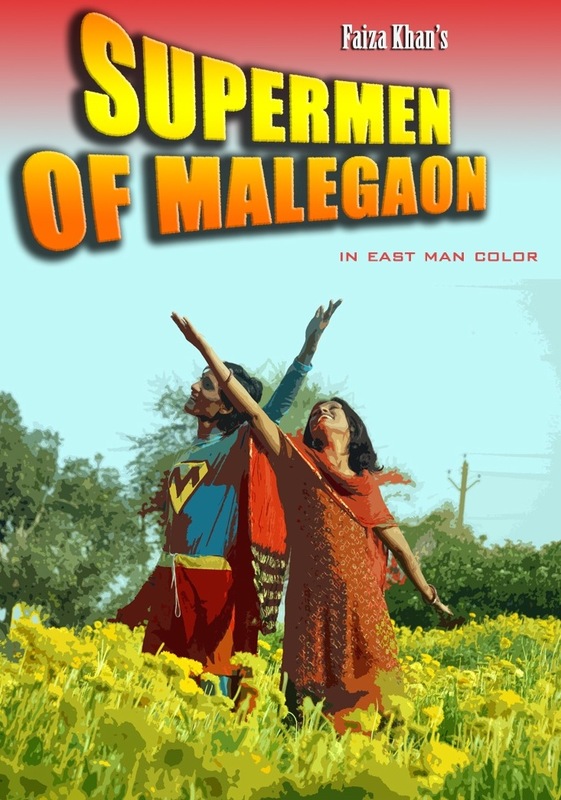 Occasionally hilarious, occasionally tragic, and always heartwarming, Supermen of Malegaon is a tribute to the undefeatable spirit of filmmaking. Jason DaSilva’s When I Walk at the BAVC Conference in NYC – BRAVO! Those of you who are familiar with the Bay Area Video Coalition (BAVC) know that BAVC inspires social change by enabling the sharing of diverse stories through art, education and technology. One of the many ways BAVC helps filmmakers explore their ideas through new medium is the Producers Institute for New Media Technologies, which will bring six selected documentary teams to develop interactive web, mobile, multimedia, and game projects. We’re proud to announce that BAVC has partnered with the Tribeca Film Institute (TFI) and Hunter College Integrated Media Arts Program to host the first East Coast version of this exciting event in New York City this January 2011. The six projects selected for the 2011 New York Institute include stories from NYC-based producers on a wide range of topics including HIV/AIDS, the global housing crisis, disability rights and access, environmental crisis management, racial equity in education and LGBT rights in communities of faith. Platforms being developed include games, interactive maps, augmented reality & locative media tools, mobile applications, interactive story archives, and more. Three of the six projects were previously supported through TFI’s Tribeca All Access program. See the complete schedule online or in PDF. The field of documentary has exploded in recent years, taking the nonfiction feature film into new and uncharted territories. Games, virtual worlds, web and mobisodes, augmented and alternate reality, fiction hybrids, collaborative, micro and subjective storytelling, video blogs, immersive journalism, interactive mapping, data visualization — this multiplicity of tools, styles, platforms, and points-of-view have stretched the boundaries of what we know, feel and understand about traditional nonfiction film form. In this non-panel discussion, participants will each present a project that blew their minds in the last year – their own or someone else’s – and we’ll talk about the changing nature of documentary storytelling, the impact of collaborative and visual technologies, the value of traditionalism, and the ethics of digital manipulation of cultural data. How will the next generation of documentary filmmakers handle the truth? These fifteen-minute, PopTech-style presentations will provide an extraordinary overview of emerging interactive technologies that have implications for today’s storytellers. Five minutes for one-sentence questions at the end of each presentation, followed by leisurely cocktail-infused networking with presenters. Generously funded by the John D. and Catherine T. MacArthur Foundation with additional support from the Corporation for Public Broadcasting, Nathan Cummings Foundation, James Irvine Foundation, William and Flora Hewlett Foundation, Keith Campbell Foundation for the Environment, the BAVC’s Producers Institute for New Media Technologies is an intensive lab designed to build prototypes of new storytelling models and interactive tools for social change to deepen the impact of documentary film. Over the last five years, documentary production teams from around the world have spent ten days at BAVC working with technologists, game and web designers, social media strategists, computer programmers, and interactive media artists, to develop new models of participatory storytelling and civic engagement. Projects from the Producers Institute have been presented at the United Nations, Sundance Film Festival, Skoll World Forum, and numerous global venues. Videos about the work of the Institute can be seen at http://bavc.org/producersinstitute. Mentors from leading technology and design companies, including Apple, Adobe, Google, The Project Factory, Tomorrow Partners, MCommons, Free Range, Pentagram, Mobile Active, Phantom Compass, Thinkwrap, Flax Media, and others, work with teams to design and develop project prototypes, which are then presented at the close of the Institute to potential funders and partners. Each project is also paired with a nonprofit organization or global NGO that works in tandem on project development and sustainability in a collaborative effort to maximize the social impact of the work. William Brawner was infected with HIV before he turned two and kept it a secret for over twenty years. Now he struggles to confront his promiscuous past and embarks on a new phase of life with his pregnant wife, who is HIV Negative. 25 to Life is a startling and critical look at HIV and AIDS in America, through the intimate perspective of a family and community that has been affected by one man’s diagnosis. At the Producers Institute, in collaboration with the Black AIDS Institute, the 25 to Life team will create a searchable mobile web story gallery, powered by collaborative browser-based editing, along with an interactive Q&A forum for HIV-impacted youth. Both tools will riff off the transformative power of sharing secrets to help seed a new generation of outspoken young people reclaiming a healthy future. In 1999, filmmakers and parents Joe Brewster and Michele Stephenson decided to turn the camera on themselves and their family to document the twelve year journey they take as their effort to provide the best education possible for their African American son, Idris. He along with his friend, Seun, start kindergarten together at a prestigious independent prep school in New York City. Their parents had high hopes for what this school would mean for Idris and Seun’s future, but also a keen sense of what they might be missing in a predominantly white environment. As the years unfold, we catch a rare glimpse into the complex universal issues that challenge African American boys from their earliest experiences in school, set against the backdrop of the nationwide racial achievement gap in education, when more than 50% of African American males do not graduate high school. At the Institute, in partnership with the Congressional Black Caucus Foundation, the American Promise team will develop a networked web Initiative that includes mobile persuasion technology and an Achievement Mapping Mobile Tool designed to empower parents of any at-risk student, regardless of race. Cooked, a feature documentary film and engagement campaign, uses the 1995 Chicago heat wave to explore the politics of disaster. In her signature serious-yet-quirky style, Peabody award-winning filmmaker Judith Helfand takes the story from Chicago, 1995, when 739 people died in a single week, most of them poor, elderly and/or African American — to the present and into the new world of disaster preparedness, a new growth industry. The film asks big questions and imagines best-case scenarios, the kind every U.S. city should be asking and striving for. What if poverty were treated as an emergency? At the Institute, Judith and her team will utilize the Ushahidi API and Google Earth to design and build a new kind of crisis map, one that integrates interactive video stories and demographics from neighborhoods in transition and provides data-based tools for growth and resilience. Based in the South Side Chicago community that lost a disproportionate number of residents during the heat wave, the map’s hyper-local interface will be customizable for any neighborhood in any city across the country. When the South African government tries to ‘eradicate the slums’ by evicting thousands of shack dwellers from their homes, three young friends who live in Durban’s vast shantytowns refuse to be moved. Dear Mandela follows them from their shacks to the highest court in the land as they invoke Nelson Mandela’s example and become leaders in an inspiring social movement. In a world where over 1 billion largely forgotten people live in slums, Dear Mandela is a window into the untold stories of shack dwellers and provides new perspectives on resisting eviction and reclaiming dignity. At the Producers Institute, the team will partner with the Poverty Initiative to build a web-based, video-enabled docu-game for housing activism. On a platform designed in HTML5 for web, iPad and Android, players will experience forced eviction and shack demolitions based on real life current stories. As they rebuild their virtual community and navigate a video-rich environment that simulates life in a shantytown, they have the opportunity to engage with on-the-ground movements both in South Africa and in their area who are working against evictions and foreclosures and towards the Right to Housing. 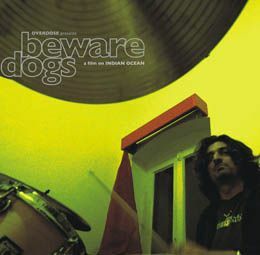 When I Walk is a point-of-view feature-length documentary about how Jason’s world changed after he was diagnosed with Multiple Sclerosis in 2005. The film paints a picture of what it is like to live with MS – from the symptoms, day-to-day challenges and available support systems — to the challenging, complicated personal experiences faced by the filmmaker living with a disabling chronic illness while pursuing a creative career and a busy, full life as a working artist. At the Institute, the team will build a prototype for AXS, a voice and video-enabled mobile mapping tool of all accessible businesses in New York City, utilizing the Yelp API and the partnership of the National MS Society. This team intends to seriously change the face of accessibility, and create a story-activated tool for next gen mobility.